Amanda Wojtaszek was born in Red Lake and raised in Balmertown. Influenced by her father's eye for photography, she grew a liking to being behind the camera at the age of nine when her grandparents bought a video camera. 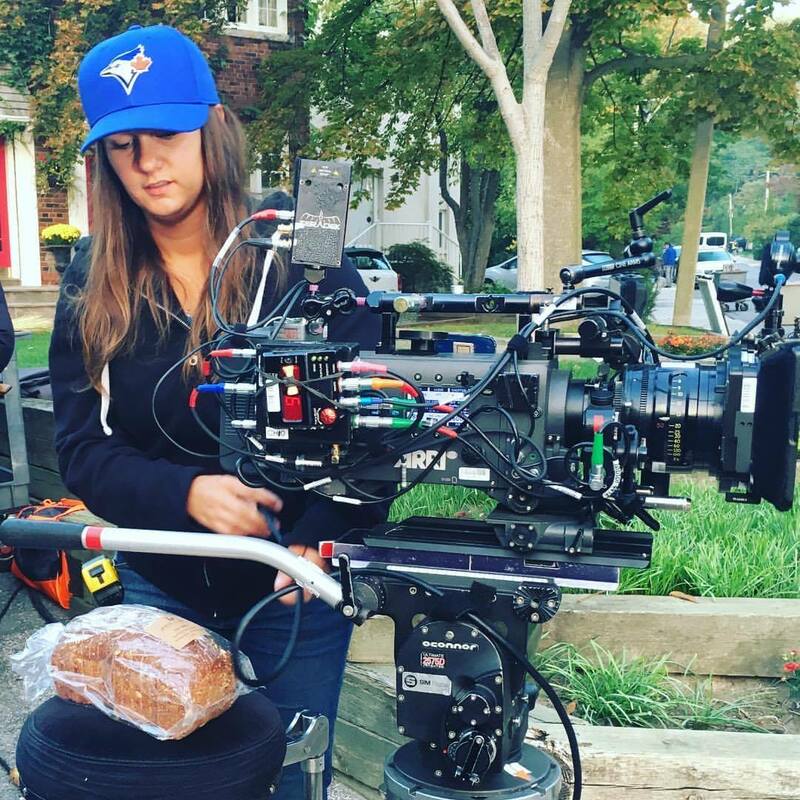 The obsession with playing with cameras grew through high school when Ms Hager, the Drama/Communications teacher/guidance counsellor gave her a co-op position in the communications lab shooting school sporting events, concerts and the graduation video. Amanda attended the Humber College Film and Television Productions program in Toronto in 1999. Following college she volunteered on short films and independent features to gain experience in actual production work. Paid gigs on music videos and commercials eventually led to television and feature film work. Her first big feature film was "Four Brothers" (Mark Whalberg) in 2005 as a camera trainee. Eric was born on January 27, 1985 and began skating at the age of 8 after watching Nancy Kerrigan skate at the Olympics in Albertville. Skating reminded Eric of flying and he also loved the fact that you got to "fly" and perform to music. Eric grew up in Balmertown and began skating with the Balmertown Figure Skating Club. His love of skating produced many national medals in Novice and Junior Pairs and he was also the National Novice and Junior Men's Champion. Radford and his partner Meagan Duhamel have only been skating together since 2010, but the pair has put together an impressive resume in that short time. Eric and Meagan took the National title for Senior Pairs at 2012 Canadian Figure Skating Championships in January. Prior to the gold win, Meagan and Eric received a silver medal at the 2011 Canadian Figue Skating Championships in Victoria, BC, silver at the 2011 Four Continents and seventh at the 2011 World Championship in Tokyo, Japan. The Pair stepped onto the World Podium for the first time at the 2013 World Championships in London, Ontario where they won the bronze medal, and they returned to the podium at the 2014 World Championships, where they received their second bronze medal. In 2014 and 2015 season Eric and Megan competed in 2014 Autumn Classic held in Barrie, Ontario, and won that event. The 2014 Skate Canada International and 2014 NHK Trophy in the 2014-15 Grand Prix season. They won both events and eventually won their first Grand Prix Final title. They continued their first place streak by winning their fourth Canadian title and their second Four Continents title. In March 2015, they won gold in pairs at the 2015 World Figure Skating Championships and gold again in the 2016 World Championships in Boston. The pair received the bronze medal at the Grand Prix Final in December 2016 before winning their sixth consecutive national title, in January 2017. In February, they took the silver medal behind Sui/Han at the 2017 Four Continents Championships. They began their season at the 2017 CS Autumn Classic where they placed second. In their first Grand Prix event of the season, Duhamel/Radford placed first at 2017 Skate Canada after ranking second in the short program and first in the free skate. In their second Grand Prix event at 2017 Skate America, Duhamel/Radford placed third after ranking first in the short program and third in the free skate.Their scores at their two Grand Prix events qualified the pair for the 2017-18 Grand Prix Final where they won a bronze medal with a strong long program performance.They made their second Olympic team by winning their sixth consecutive Canadian figure skating pairs title, an all-time record. At the 2018 Winter Olympics they skated both portions of the Team event, placing second in the short program round, and first in the long program round, greatly assisting Canada to their Team gold medal. They were the only top pair to skate both programs, as the individual pairs event is the first of the Olympics. In the individual event, they came third in the short program and second in the free skate, finishing in third place and earning the bronze medal. The pair announced their retirement from competition following the Olympics. Radford composed music in 2014 Winter Olympics in Sochi. Eric and Megan skated their short program to the music, which Eric gave tribute to his late coach Paul Wirtz. Eric also composed the music for fellow Canadian skater Patrick Chan's new free skating for the 2016-17 season. To follow Eric and Meagan's progress and events, please visit their Facebook page (click here). Ken Leishman, originally from Holland Manitoba, moved to Red Lake in 1975. Nicknamed the ‘Flying Bandit’, Leishman was considered one of the most beloved Canadian criminals. He was responsible for a number of crimes from the late 50’s to the 70’s including bank robberies, stealing planes, escaping custody, and the largest gold theft in Canadian history. The event occurred on March 1st, 1966 and involved $400,000 worth of gold from the Winnipeg International Airport. From his experience as a pilot he knew that regular flights of gold were made from Red Lake to Winnipeg. From there it was transferred to an Air Canada flight and sent to the Mint which was located in Ottawa. Working with 4 accomplices in Red Lake and Winnipeg, Leishman's plan involved intercepting the gold on the tarmac. However, the plan was interrupted by the Great Blizzard which hit Winnipeg. The RCMP became suspicious of Leishman and he was eventually caught and sent to Headingly Prison. Upon his release he moved to Red Lake and opened a tourist shop. He was a local celebrity and was elected as president of the Chamber of Commerce. In December 1979 while in flight, Leishman's plane crashed and his body was found some time after the incident. Cameron Mann was born April 20, 1977 and was raised in Balmertown Ontario. He is a Canadian professional ice hockey player. An alumnus of the Peterborough Petes of the OHL, Mann appeared in 94 NHL games with the Boston Bruins and the Nashville Predators. He also has an impressive four years in the DEL,Germany’s highly competitive and esteemed top league and he also had a season in the Finnish Elite League with top flight club Tampere on his record. The GMB Nottingham Panthers signed Cameron for the 2009/10 season. While growing up in Red Lake, Shy-Anne Hovorka has been singing since she was three, and performing since nine. Enjoying a wide variety of musical genres, Shy-Anne performs blues, soft rock, pop, contemporary and folk music. Shy-Anne is an award-winning songwriter, multi-instrumentalist, humanitarian and performer, whose first three albums have sold 15,000+ copies worldwide. Shy-Anne’s first two albums “Black Thunderbird” and “Pseudo” were nominated for 19 awards, garnered multiple award wins and a lucrative licensing deal for the song “Can’t Change The World” in the “Blackstone” TV series. She was also a top 16 finalist in the 2013 CBC Searchlight competition. Her third album release, “Interwoven Roots” captured a new element of her diverse song writing skills that established her as a viable artist in the realm of “Country Music”. “Interwoven Roots” was released in 2012 and won six 2012 Aboriginal Peoples Choice Music Awards. The first two singles from the album, The Glue & Run, Run, Run received “Commercial Country Radio” air play across Canada in more than 30 markets. In April of 2014 Shy-Anne released her groundbreaking album called “Bones”, which is a testament of her ability to take a listener on a magical journey through multiple genres, moods and emotions. “Bones” continues Shy-Anne’s tradition in country music, yet forges into many styles that include the unique sounds of world music instruments and is destined to become her most popular and best work to date. Shy-Anne 2014 album Bones captured three 2014 Aboriginal Peoples Choice Music Awards for Best Country Album, Single of the Year (Be Your Girl) and Best Album Design. Shy-Anne also won the coveted 2014 APCMA "Entertainer of the Year" award. She has appeared on various television shows including Breakfast Television & Global News and has been interviewed by numerous radio stations across Canada including CBC Radio. She has garnered more than 300,000 views views on her official YouTube channel. Her song “Can’t Change the World” won a coveted spot in the opening ceremonies of the 2010 World Interfaith G-8 Summit and the headline act for the 2010 Indigenous Festival with the Winnipeg Symphony Orchestra. Over the years, Shy-Anne has embarked on multiple concert tours across Canada that continue to win over the hearts of her fans and admirers, including select shows with the “Thunder Bay Symphony Orchestra”. She has performed as the featured soloist for the Thunder Bay Symphony under David Bowser, Arthur Post and Dan Bartholomew-Poyser, and has won numerous awards for her performances at many Classical Musical Festivals. Kristen Hager was born in Red Lake and grew up in Cochenour. She attended Golden Learning Centre and the Red Lake District High School. Kristen first launched her acting career with her appearance in 'Beach Girls', a TV mini-series starring Rob Lowe. Kristen has also appeared in big name features including 'Wanted', starring Angelina Jolie, 'Alien vs. Predator - Requiem', and 'Lesslie, My Name is Evil'. Kristen has starred in 'Textuality' and 'Servitude', in 2011, A Little Bit Zombie in 2012, and The Right Kind of Wrong in 2013. Linda Lundström was born in Red Lake. She studied Fashion Design at Sheridan College in Oakville, Ontario. She then won a Fashion Canada scholarship and spent a year apprenticing in Europe. 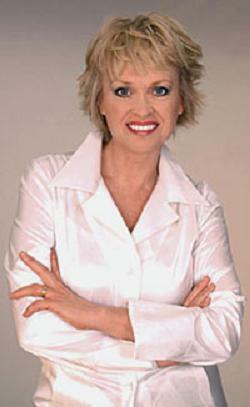 In 1974, she formed her company, Linda Lundström Inc. in a two-bedroom apartment in Toronto. After having visited Japan and saw the Japanese kimono had been brought back into the fashion scene, she became inspired to design a uniquely Canadian piece. Thus, the LAPARKA, a modern version of the traditional Inuit parka, was born. Linda then began working with local Native artists to create products and collections with a deeper meaning. Her designs are truly Canadian. In 2008 Linda Lundstrom Inc was sold to an investment group Eleventh Floor Apparel. Retained as Chief Creative Officer, Lundstrom resigned in 2009 and since then has had no involvement with the company that now owns her brand. Peter McLeod was born in 1984 in Red Lake. Growing up in Red Lake exposed him to floatplane aviation at an early age. At 16 Peter got his pilot's license, before he even got his driver's license. And he has been obsessed with aviation ever since. As an acrobatic and race pilot, Pete has had made some major accomplishments in his life. Some of these achievements include 12th place at the European Acrobatic Championship in 2008, 2nd place advanced in the U.S. National Championships, 2004 North American Collegiate Acrobatic Champion, and undefeated in 2004 with five 1st place finishes. Pete has been named the youngest and first Canadian pilot to compete in the 2009 Red Bull Air Race World Championship. He placed 5th overall at the 2010 Red Bull Air Race World Championship. Most recently he took his career first podium with a third place finish at the 2014 Red Bull Air Race World Championship season opener in Abu Dhabi in March 2014!! Norval Morrisseau was one of the most original and important artists this country has ever produced. He was also one of Canada's most internationally known artists. Morrisseau, who spent a large part of his life in Red Lake, Ontario, was the first to paint his people's cultural heritage and, as a result of his work, the Woodland Indian School of Art evolved. He is the sole originator of the style. The myths, history, and environmental truths portrayed in his work have no precedence in the world. The genius of his paintings speaks to us of the past, and cautions us about the future. Combined with legends are historical facts relating to early native history and archaeological theory. Norval Morrisseau is considered one of the greatest Canadian painters of all time and is placed alongside Tom Thomson and Emily Carr. He was known as Copper Thunderbird, the Aboriginal Canadian artist. And he was also known as the "Picasso of the North", creating works depicting the legends of his people, the cultural and political tensions between native Canadian and European traditions, his existential struggles, and his deep spirituality and mysticism. His style is characterized by thick black outlines and bright colors. He founded the Woodlands School of Canadian art and was a prominent member of the “Indian Group of Seven. He was the recipient of the Order of Canada, Doctor of Lawa, Doctor of Letters, a member of the Royal Canadian Academy of Art, a fellow of the Royal Society of Canada, recipient of the Lifetime Aboriginal Achievement Award, holder of the Eagle Feather, which is the highest honour awarded by the Assembly of First Nations, and Grand Shaman. Sadly, Norval died of cardiac arrest—complications arising from Parkinson's disease on December 4, 2007 in Toronto General Hospital. Mark Vermette was born in 1967 in Cochenour. Growing up, he played youth hockey in Cochenour until age 15. Mark then headed to Athol Murray College of Notre Dame to play for the Notre Dame Hounds. Mark's hockey career took off while playing for Lake Superior State University in the National Collegiate Athletic Association's (NCAA) National Championships. After this, he continued to lead the Nation in goals and was named the Hockey News US College Hockey Player of the Year for 1987-88. Mark went on to play seven years of professional hockey including 67 NHL games with the Quebec Nordiques. If we missed someone who you feel should be mentioned, please contact us and we will gladly add them!